Well January was a complete success – thanks to all who voted. 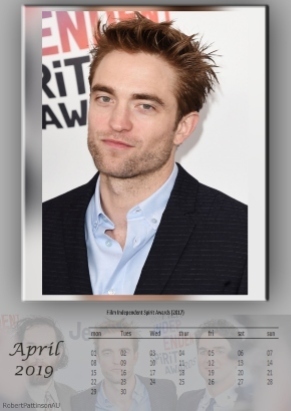 For your February calendar choice, Suze decided to spotlight Robert promoting “Damsel” at Sundance. It’s a tough decision – smiley Rob v serious Rob. For those without social media, tell us in the comments on this post which one you would RT or Like. 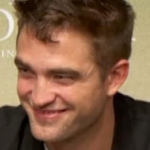 At the moment serious Rob is way ahead with 38 “likes” to smiley Rob’s 8 RTs. It’s a tough decision I know – will be interesting to see which one ends up as your Mr February 2019. January was the battle of the poses: the wall vs. the chair. And the winner is. . .
. . . the chair, with 86 likes! The wall photo received 42 RTs. 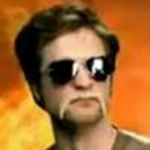 The outtake is from the “Deadline” photoshoot by Dan Doperalski and will represent “January Rob” in the 2019 calendar. 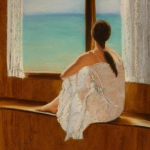 Thanks to all who “Liked” or “Retweeted” on Twitter or commented here. We will be posting the February choices soon. Well looks like Q&A Robert at the Sydney Film Festival is our winner with just 6 votes. The photocall pic had 4 votes and the red carpet had 5. We can now add laughing Robert on the comfy couch to our calendar for June 2018. If you can’t remember which pics – check out Vertigo’s post. I’ve updated the 12 Months Of Rob page and July choices will be posted shortly. Remember it’s your favourite choices each month that Jules uses to create her calendar for RPAU. Thanks to those who are voting, but I’m afraid this could be our final year – we started doing this in 2009, but interest seems to have waned. 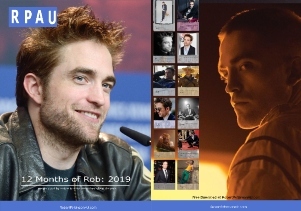 Another clear winner this month with 8 votes for Cannes Robert 2014, Cannes Robert 2012 had 3 votes and surprisingly Cannes Robert 2009 only had 2 votes. If you want a reminder of which pics were the choices, click here. Thanks to those who are voting. Again we had over 50 views for each pic, but not as many votes. If you want your vote to register, please click on the stars under “rate this file” for your vote to count. Instructions on how to vote are here. In any event, I’ve updated the 12 Months Of Rob page and June choices will be posted over the weekend. I think Vertigo might have something up her sleeve. Remember it’s your favourite choices each month that Jules uses to create her calendar for RPAU.